Primewest acquired a Weedcutter Combcut® in 2016 for evaluation and commencement of use and resale in spring 2017. 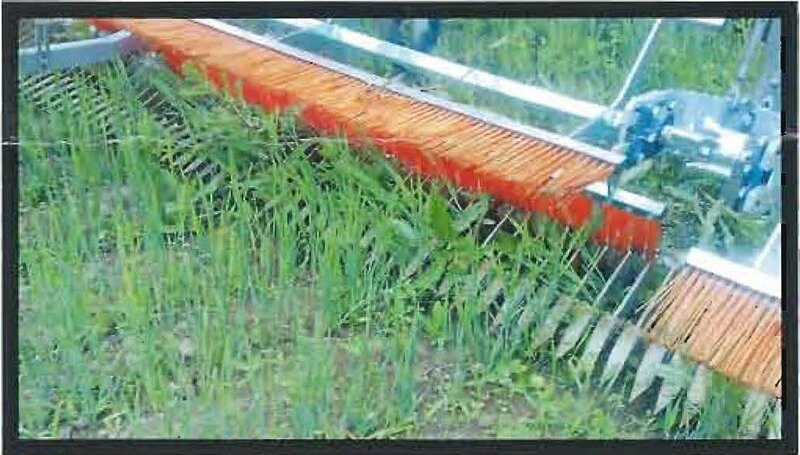 It operates in established crops preventing weed seed dispersal by cutting the flowers and seed head of weeds above the crop. It is effective in destroying thistles, nettles, charlock, docks and black grass and so reduces the amount of herbicide required thereby reducing input costs. It is also ideally suited to the organic farmer who will not be using glyphosate or anything similar at all. 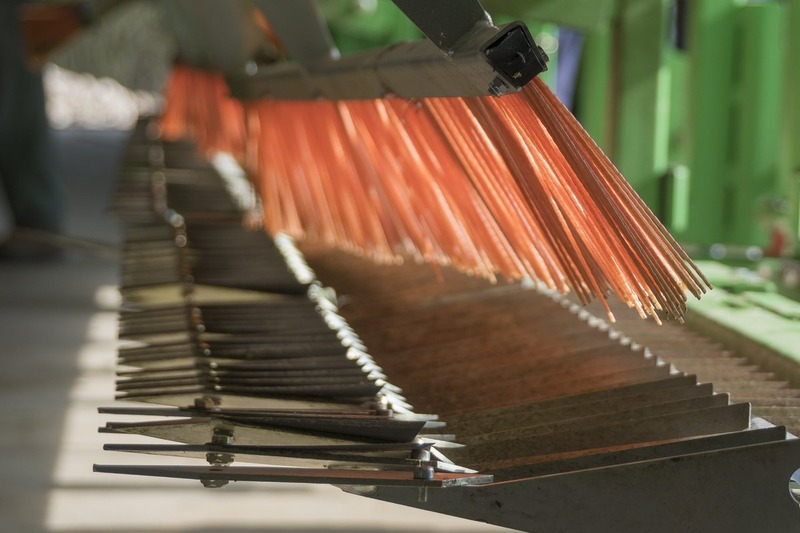 A further benefit is at harvest where the costs of cleaning and drying the main crop are also lowered. It is effective in weed control in fields of cereals, on grassland, with legumes and root vegetables. 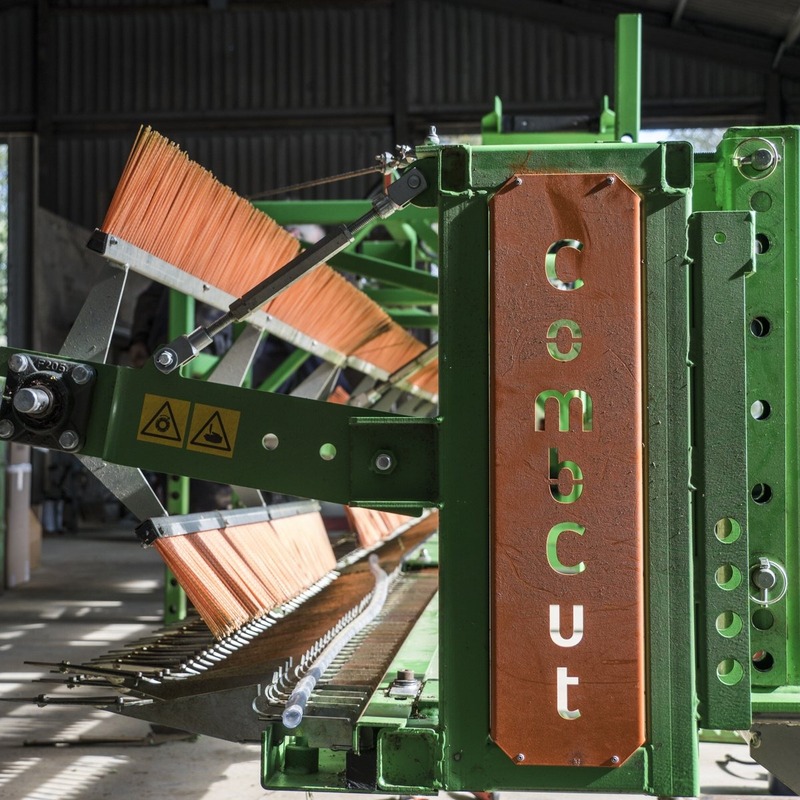 Weedcutter Combcut® allows a high work rate and causes little soil disturbance as it does not dig into the soil being light wheeled and non invasive. CombCut® is high in reliability with a low investment both initially and in wearing parts. The sales team are pleased to be offering a product with a low investment cost that is so effective and can be used in all weathers. We are offering it in both 6m and 8 metre widths. The Primewest contracting team is pleased to be using this machine as it fits perfectly with our philosophy of no-till farming. Empirical research has found that the Weedcutter CombCut® can cause great direct damage to all pernicious weeds and can be used to cut off flowers and seed heads and thus prevent seed propagation. For best results, clipping must take place after weeds have grown to height sufficient that mechanical damage can be caused and clipping should take place before stem elongation of the crop to avoid damage to crop plants. The technology is based on mechanical weeding. It is beautifully straightforward and its light weight means it can be used on low horsepower tractors. 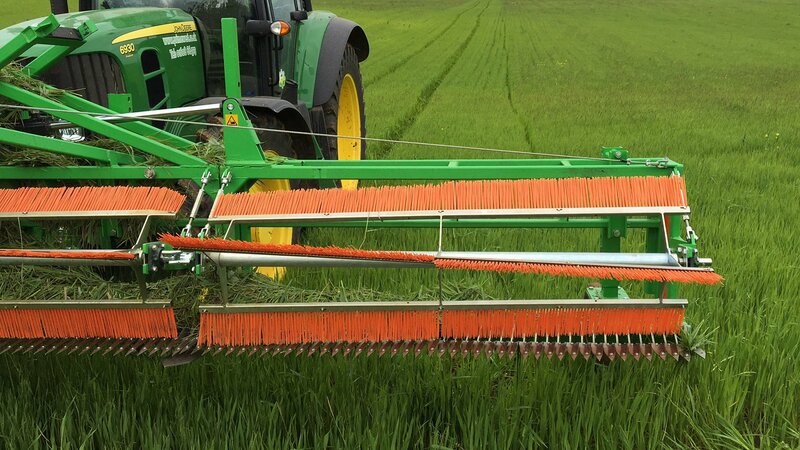 It works by cutting with a blade together with a metal bar with an opening in the rear end so coarse weeds are cut near the ground but the slender crop slips through unharmed. Putting several pairs of these on a large metal bar builds up the machines weeding function.